Mr Liku holds a Master of Science in Architecture (MSc. Arch) from University of East London, Bachelor of Architecture (B. Arch) from the University of Nairobi, Master of Business Administration (MBA) from Strathmore University and a certificate in Geospatial Information Systems from the University of Nairobi. He is a registered Architect – Board of Registration of Architects and Quantity Surveyors, Kenya, and a corporate member of Architectural Association of Kenya (MAAK). Arch. Liku won a Gold Award in ‘’2006 Excellence in Architecture Competition’’ organized by The Architectural Association of Kenya. Arch. 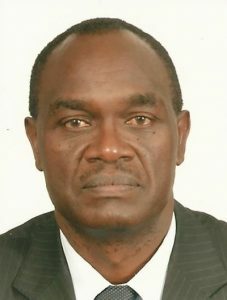 Liku has over 30 years teaching experience in the University of Nairobi. Over and above teaching, he has consulted widely in the field of architecture for a period of over 32 years and gained a lot of experience both in design, site supervision and construction management. He has undertaken numerous development projects in the City of Nairobi, and in several municipal councils such as Kiambu, Machakos, Mavoko, Kajiado, Hola, Eldoret and Mombasa to name a few. In due course he has gained a lot of exposure to matters of urban development management. He has enormous experience on urban planning procedures, regulations, and development control. He has been a lead consultant in a number of projects undertaken by Heritage Associates, in association with other firms. These skills will be useful in guiding Wote Municipal Board to deliver on its mandate. Arch. Liku is the chairman of the Projects, Town planning and Markets committee of the Board.